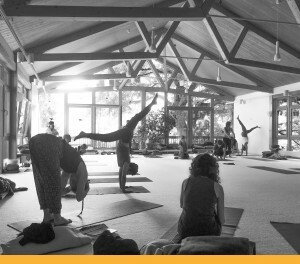 In addition to the large community of Vijnana teachers in Israel, there are many Vijnana practitioners around the world. International Vijnana teachers take part in annual retreats that Orit holds abroad, and a few come to study in Israel. Orit also teaches an international teacher training in Germany. Teacher trainings in Europe have included students from the Netherlands, Germany, England, Finland, Belgium, US, Canada, Mexico, Israel, and Australia. There are Vijnana centers in Munich, Amsterdam, and Helsinki. Vijnana teacher trainings are held in Germany, the Netherlands, and Finland. Vijnana yoga teachers who have completed Vijnana teaching trainings currently teach in England, Switzerland, Austria, Denmark, Finland, France, Greece, Italy, and Portugal. Australia has a small Vijnana center in Melbourne, and some Australian students have attended courses in Europe. In Goa there are regular Vijnana classes as well as an in depth long class.